As a part of the process of preparing the Wycombe District Local Plan, we referred to and were informed by a number of documents that collectively form the evidence base for the examination. Topic papers explain how the strategy presented by the Wycombe District Local Plan has developed and the information, evidence, and feedback that has informed the choices made in formulating the policies, and also set out what we foresee as the key issues, and how these have been resolved. The Wycombe District Local Plan was informed by a wealth of technical evidence across a wide range of different topics and areas. These technical studies are set out on a topic by topic basis in this section. The main sustainability appraisal of the Wycombe District Local Plan and its non-technical summary are included with the submission documents in section 1. submission documents. This section contains the drafts which informed the final sustainability appraisal and previous stages of the Wycombe District Local Plan. The housing and economic land availability assessment (HELAA) helps to identify future sources of land to help meet the district's development needs. It is a technical study of all potential housing, economic, and retail sites within Wycombe district. Appendix A: Model output plots pages 1 - 84 (external website) covering the demand flows for the Do Minimum AM peak, interpeak, and PM peak, and Do Something 1 AM peak. Appendix A: Model output plots pages 165 - 245 (external website) covering the Do Something 2 PM peak demand flows, and the demand flow differences for the Do Something 1 AM peak, interpeak, and PM peak. Appendix A: Model output plots pages 246 - 326 (external website) covering the demand flow differences for the Do Something 2 AM peak, interpeak, and PM peak, and the base year AM peak congestion ratio. Appendix A: Model output plots pages 327 - 406 (external website) covering the congestion ratios for the base year interpeak and PM peak, and the Do Minimum AM peak and interpeak. Appendix A: Model output plots pages 407 - 506 (external website) covering the congestion ratios for the Do Minimum PM peak, Do Something 1 AM peak, interpeak, and PM peak, and the Do Something 2 AM peak. Appendix A: Model output plots pages 507 - 607 (external website) covering the congestion ratios for the Do Something 2 interpeak and PM peak, and the change in travel time for the Do Something 1 AM peak, interpeak, and PM peak. Appendix A: Model output plots pages 608 - 667 (external website) covering the change in travel time Do Something 2 AM peak, interpeak, and PM peak. 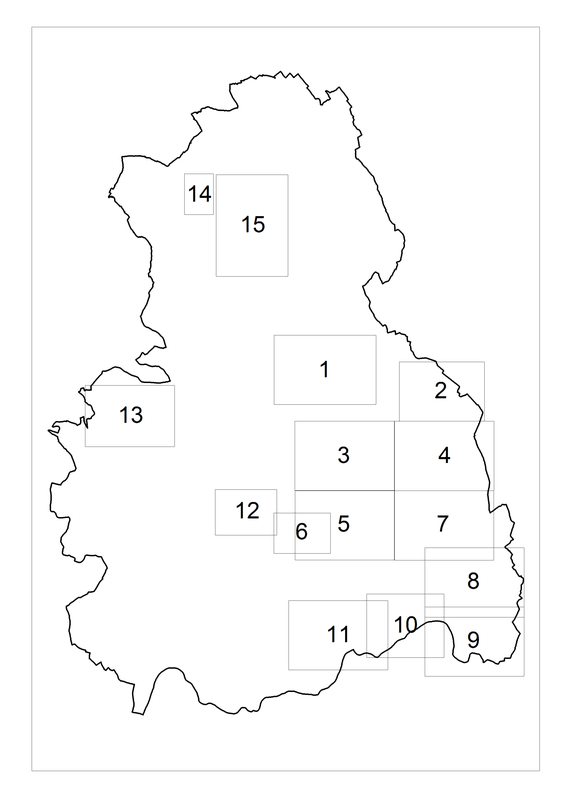 Appendix B: Countywide model output plots pages 1 - 25 (external website) covering the demand flows for the Do Minimum option for Buckinghamshire County and the four district councils. Appendix B: Countywide model output plots pages 26 - 53 (external website) covering the demand flows for the Do Something 1 option for Buckinghamshire County and the four district councils, and the demand flows for Do Something 2 for Buckinghamshire County and Aylesbury Vale DC. Appendix B: Countywide model output plots pages 54 - 74 (external website) covering the demand flows for the Do Something 2 option for Chiltern, South Bucks, and Wycombe, and the demand flow differences for the Do Something 1 option for Buckinghamshire County and Aylesbury Vale. Appendix B: Countywide model output plots pages 75 - 94 (external website) covering the demand flow differences for the Do Something 1 option for Chiltern, South Bucks, and Wycombe, and the demand flow differences for Do Something 2 for Buckinghamshire County and Aylesbury Vale. Appendix B: Countywide model output plots pages 95 - 115 (external website) covering the demand flow differences for the Do Something 2 option for Chiltern, South Bucks, and Wycombe, and the congestion ratio base year for Buckinghamshire County and Aylesbury Vale. Appendix B: Countywide model output plots pages 116 - 135 (external website) covering the congestion ratio base year for Chiltern, South Bucks, and Wycombe, and the congestion ratio for the Do Minimum option for Buckinghamshire County and Aylesbury Vale. Appendix B: Countywide model output plots pages 136 - 155 (external website) covering the congestion ratio for the Do Minimum option for Chiltern, South Bucks, and Wycombe, and the congestion ratio for Do Something 1 for Buckinghamshire County and Aylesbury Vale. Appendix B: Countywide model output plots pages 156 - 175 (external website) covering the congestion ratio for the Do Something 1 option for Chiltern, South Bucks, and Wycombe, and the congestion ratio for Do Something 2 for Buckinghamshire County and Aylesbury Vale. Appendix B: Countywide model output plots pages 176 - 196 (external website) covering the congestion ratio for the Do Something 2 option for Chiltern, South Bucks, and Wycombe, and the change in travel time for Do Something 1 for Buckinghamshire County and Aylesbury Vale. Appendix B: Countywide model output plots pages 197 - 208 (external website) covering the change in travel times for the Do Something 1 option for Chiltern, South Bucks, and Wycombe. Appendix B: Countywide model output plots pages 209 - 228 (external website) covering the change in travel times for the Do Something 2 option for Buckinghamshire County and the four district councils.